Everyone loves BBQ, and the best barbecue starts with a solid rub. 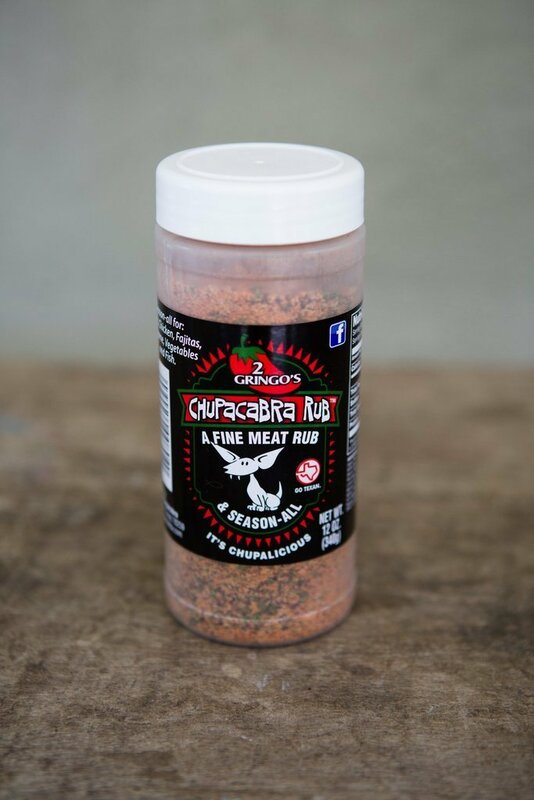 2 Gringo's Chupacabra BBQ rub brings delicious depth to your steaks, fajitas, briskets, chicken and fish. It works wonders on wild game and bring a flavor to veggies that kids can't resist. This award-winning combination of salt and garlic, brown sugar and chile peppers, is a flavor combination that no self-respecting barbecue should ever be without. Most importantly, we promise that our made-in-Texas BBQ rub is the perfect blend of sugar and spice that makes every BBQ nice.